Please note that admission tickets are open to the general public and tickets are sold on a first come first serve basis. Family and Friends who wish to be seated together, MUST purchase their tickets together or within ONE WEEK of each other in order for request to be honored. PREMIUM ADULT Admission Ticket includes a “sit down” style meal consisting of a salad, pasta, an entree choice of prime rib, chicken or fish, vegetables, soft drinks and dessert/coffee/tea. KID Admission Ticket include a “sit down” style meal consisting of a salad, pasta an entree of chicken fingers, french fries, soft drinks and dessert/coffee/tea. *Vegetarian/Kosher/Allergies Please specify under “Notes” at check out. Requests will be honored as long as it’s PRE – ORDERED. If Pre-ordered, it is IMPORTANT to remind your waiter the day of the event of any allergies or special requests. *IMPORTANT: ALL Students (Including MODELS), MUST Pay the admission Fee Listed Below. Nobody will be allowed into the Venue without a PURCHASED ADMISSION TICKET. RSVP by April 1st: RSVP is by purchasing a ticket no later than April 1st. Tickets are sold on a first come first serve basis until they are SOLD OUT. JOIN KSOF as we showcase our student’s hard work during the past 8 month! 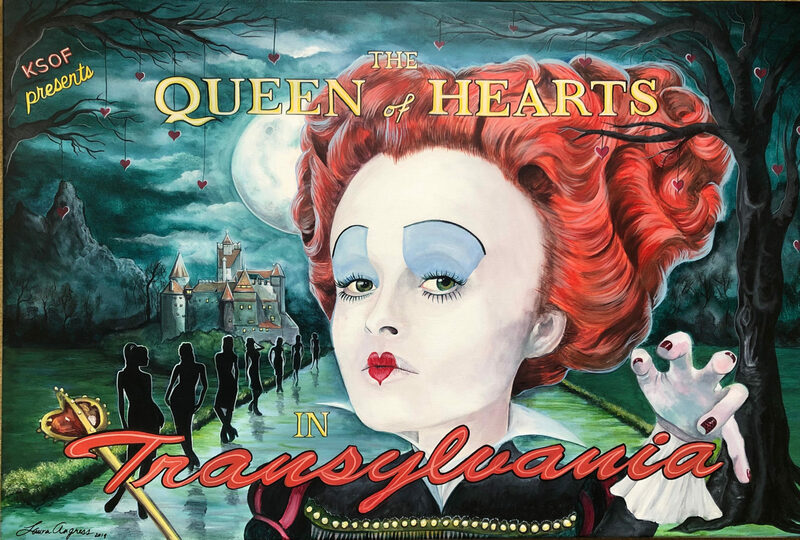 SURE TO BE A CAPTIVATING Fashion Show that will celebrate the QUEEN of HEARTS in Transylvania.